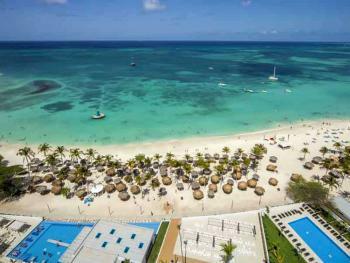 This low-rise beachfront, all inclusive resort is located on Aruba's mile long beach. Choose from, nine dining options and seven bars, most of their guest rooms are just steps from the sand and pools and have ocean views.There is live entertainment nightly plus a quick stroll to the Alhambra Casino nearby. Water sports and a seaside fitness center or spa is available. 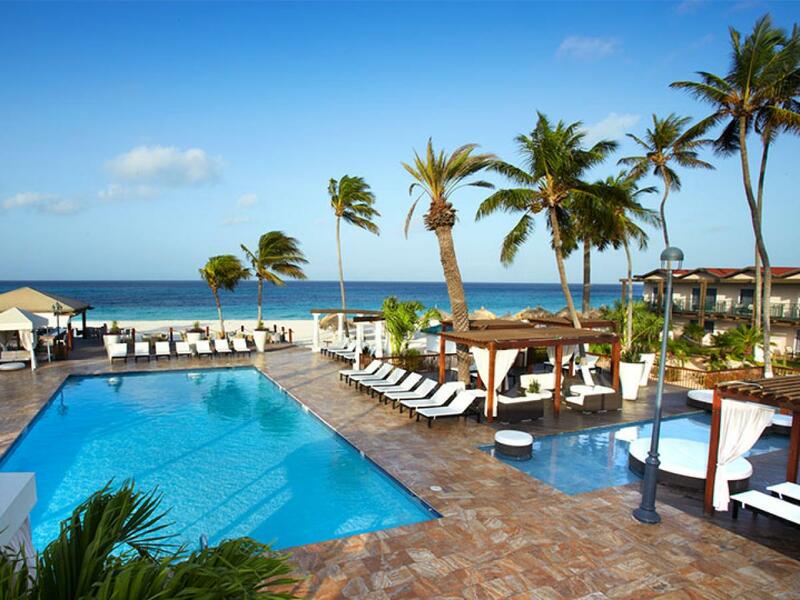 If you stay at Divi Aruba, you can dine and play at the adjacent Tamarijn Aruba All Inclusive Resort. 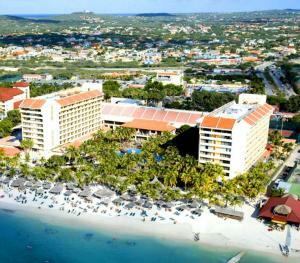 Divi Aruba is a low-rise beachfront, all inclusive resort located on Aruba\'s mile long beach. Choose from, nine dining options and seven bars, most of their guest rooms are just steps from the sand and pools and have ocean views. 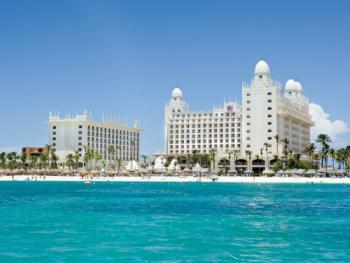 Available are bikes, beach volleyball, beach Olympics, bike tour, casino games and master class.